If you’ve ever wanted to participate in a HKD $1,000,000 (about $130,000 USD) rebuy tournament PokerStars and the Guandong Group are now giving you the opportunity at the just announced, Ltd Asia Millions’ (GDAM) tournament that will take place in Macau from June 5th through June 7th. PokerStars is billing the event as the biggest tournament ever held outside of the World Series of Poker, and expects it to break attendance records for high-roller tournaments. 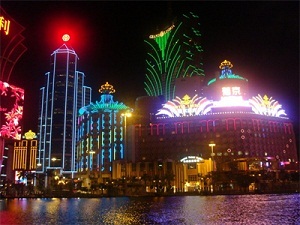 The tournament will be held at the PokerStars branded City of Dreams Poker Room in the city of Macau, which is starting to give Las Vegas a run for its money as the gambling capital of the world. The Tournament will be a three-day event; with players able to rebuy two-times (presumably on Day 1 of the tournament only). On June 4th there will be a “warm-up” tournament, boasting a HKD $250,000 buy-in (about $32,500 USD). Last year a HKD $2,000,000 buy-in tournament was held in Macau and managed to attract 73 players, so setting the bar at over 100 seems like an easily reachable goal. The aforementioned Macau High Stakes Challenge Super High Roller tournament is the current record-holder for the largest non-WSOP tournament prize-pool in poker history, coming in at over $23.5 million, so the goal to break that record may be a little harder to reach than the attendance record. Stay tuned for more details on this tournament in the coming days and weeks.